Dual pendants suspended from chains hang from this y-shaped gold necklace. 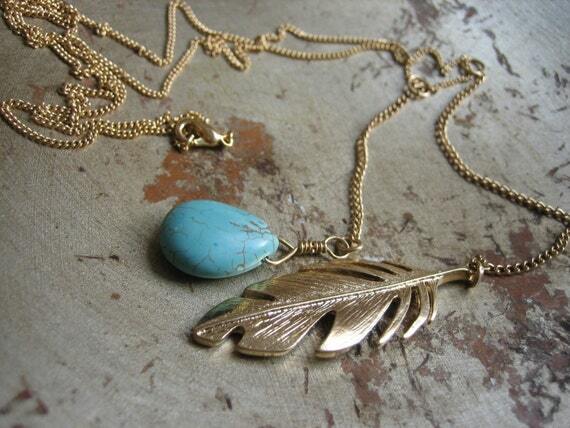 One ends up a turquoise bead drop, and the other in a heavy golden leaf. The vibrant robin's egg blue of the turquoise bead is set off wonderfully by the glowing gold metalwork.